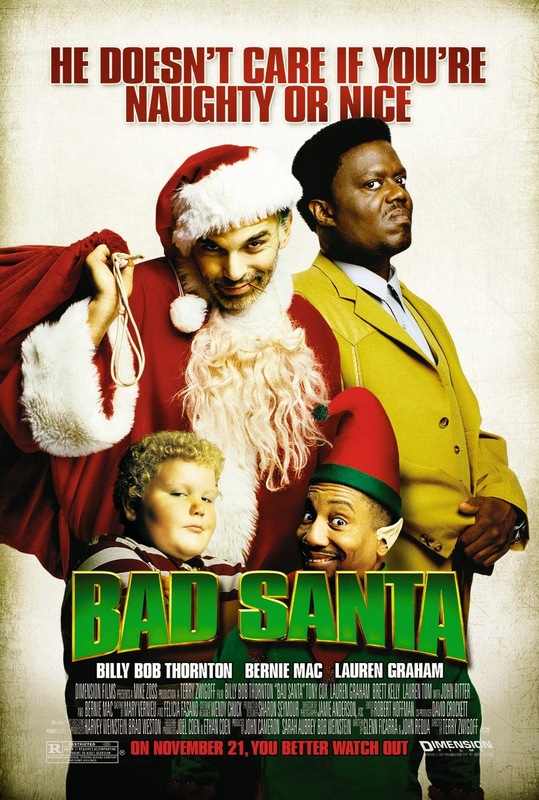 Its Christmas eve and my thoughts on are some of the funniest Christmas movies I have ever seen. 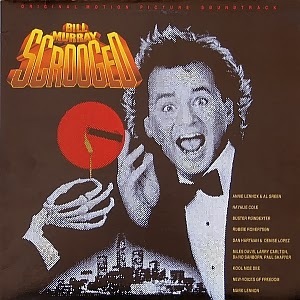 First one is Scrooged starring Bill Murray its from the late 1980s and it full of Bill Murray funniest sarcastic one liners at the height of prime. 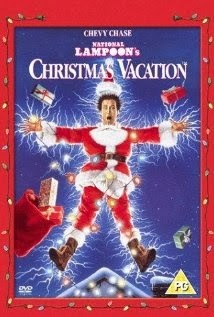 and the funniest one of all IMHO is Christmas Vacation starring Chevy Chase its a classic love it! 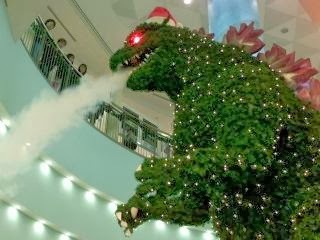 A Popular mall http://www.aquacity.jp/en/top in Tokyo Japan in years past decorated for Christmas with giant Godzilla shaped Christmas trees! These pictures are from the early 2000's. "SHOP 2COOLGHOULS"
Seeing this makes me excited for the upcoming Godzilla movie this summer! Today I'm continuing on with Creepy Christmas around the world and our next stop is, Wales in Great Britain! 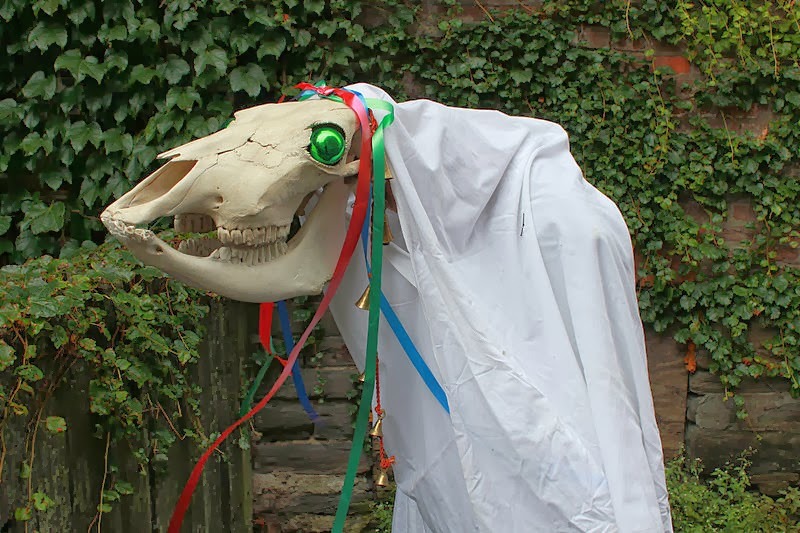 The Mari Lwyd or the Gray Mary is a strange custom where people go from house to house singing carols dressed up as a horse figure with a white cloak like dress and horse skull with eyes lit up with candles carried around on a wooden pole. Its decorated in colorful ribbons and those who dressed up the Gray Mary hope those answering the door would give them food or drink. Those who answered the door were met with singing and challenging battles of rhyming insults in Welsh. At the end of the battle of wits (known as pwnco) the group would be invited into the house for refreshments. It said to bring good luck to those who encountered the group. This custom would run from December to January and dates back to the 1800s and was used to mark the passing of the darkest days of Winter. Some might wonder today whats up with all this? But you have to understand for these people back then, winter was a scary time, days were short, nights were long and the cold was brutal. They didn't have central heat, computers, cellphones, you know everything we take for granted today. They simply wanted to pass the time until the warmer days spring. This old tradition died out in many parts of Wales, but some parts still act it out and every December and is becoming more popular in modern times. 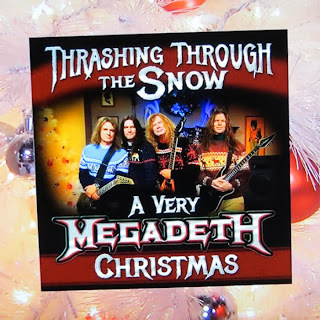 I was watching Jimmy Kimmel show a couple nights ago and saw Megadeth during a skit parody of Thrash Metal renditions of Christmas music classics! It was funny. 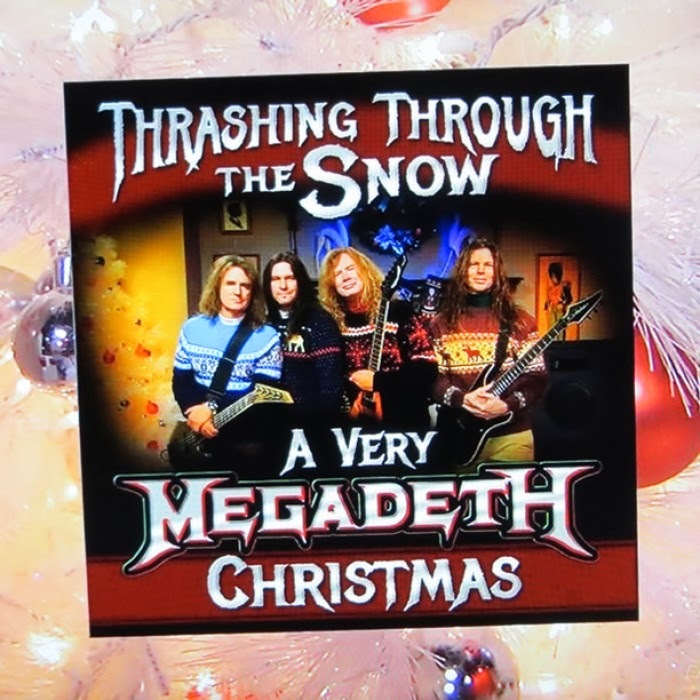 See the band perform complete with Ugly Christmas sweaters. 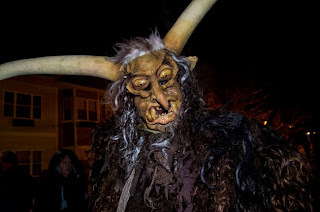 In the spirit of Creepmas I am continuing my creepy Christmas traditions which brings me to Iceland's Gryla the evil troll that eats naughty children for Christmas. 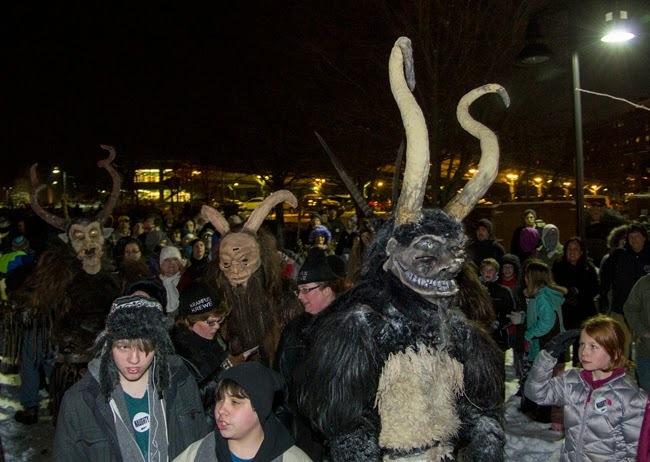 "Shop 2COOLGHOULS"
Legend has it Gryla sends out her 13 ugly troll sons called the Yule Lads to round up these children who have been naughty all year for Gryla. She even feeds naughty kids to her pet, the evil monster yule Christmas cat Jolakottur I blogged about earlier. The closer to Christmas, Gryla is said to leave her cave from the mountain tops in search of naughty children. 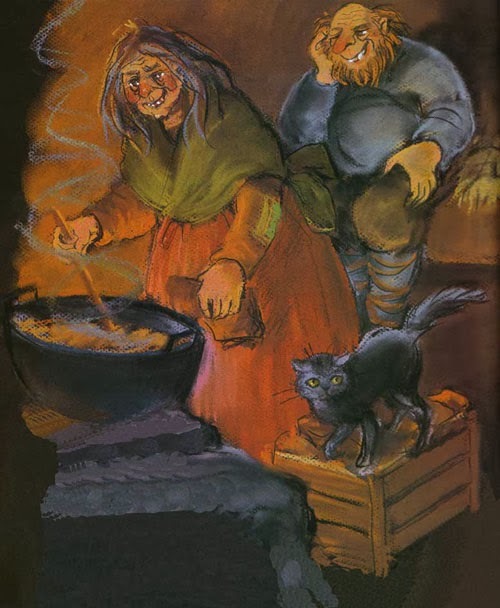 Icelandic parents have been getting their children by scaring them with folklore and legend of Gryla, who sniffs out trouble making youths with her long nose and whisks them away to her cave, where she will cook them for supper. In my local downtown area in Waco Texas I spotted a cool Creepmas display with skeletons and skulls deck out around a Christmas tree with a skull tree topper it really caught my eye! "Shop 2CoolGhouls"
They are having downtown Krampus nights. 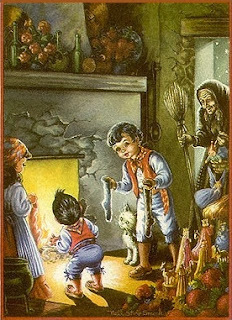 "Shop 2CoolGhouls"
Continuing on with the celebration of Creepmas and Creepy Christmas Traditions around the world bring us to Iceland's Jólakötturinn - Christmas Yule Cat! 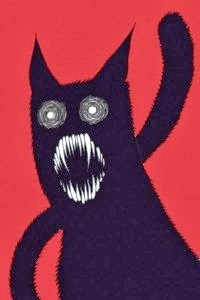 Legend has it this cat is a huge monster like cat creature that eats people for Christmas! Yes you read that right! Looks like much like Krampus, The Yule Cat is very much a villain in this Christmas folklore. It lives in the mountain tops with the mother and father of trolls Grýla, and Leppalúði and their 13 troll Yule lads . Yes you read that correctly lol. "Shop 2CoolGhouls"
Basically the sole purpose of the Yule Cat was to scare workers to work harder to finish all work with the Autumn wool before Yule. The reward for those who took part in the work was a new piece of clothing for Christmas. 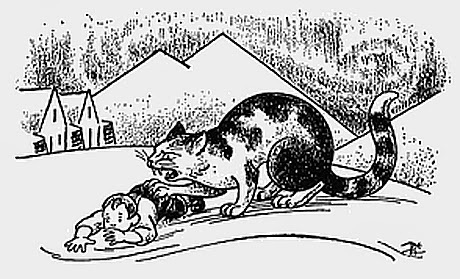 Those who were lazy could fall victim to the Yule Cat and the Yule Cat one and only goal is to eat you if you do not receive a piece of new clothing for Christmas. Thus the Yule Cat was used to get people to work more. 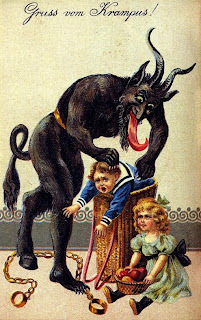 Again the whole who's been naughty, vs who's been nice concept which is a recurring theme throughout Christmas celebrations around the world. 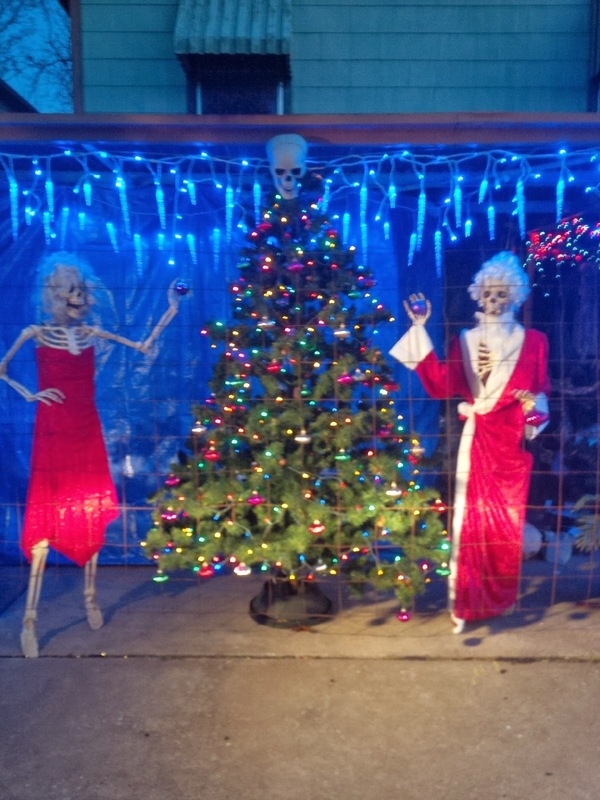 "Shop 2COOLGHOULS"
In the spirit of Creepmas, I'm continuing my blogging about Creepy Scary Christmas Celebrations around the world. 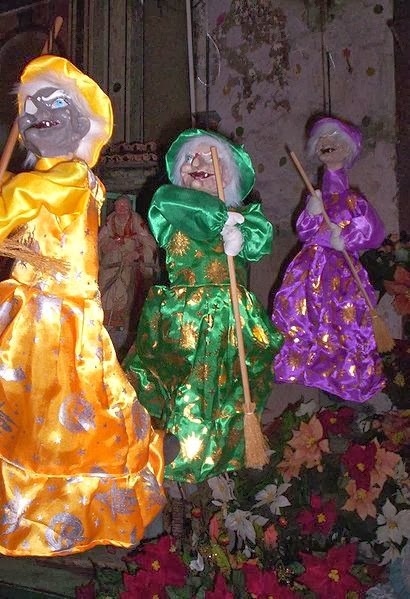 First I covered Krampus, now on to the Christmas Witch La Befana brings us to Italy. 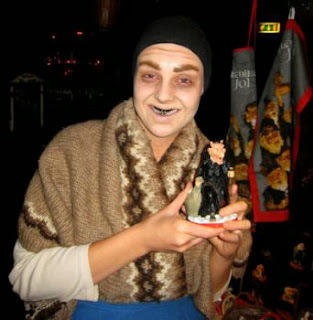 "SHOP2CoolGhouls"
After mulling over her decision, Befana had a change of heart and decides to go along and follows the men. But she’s too late. She never finds the baby Jesus. 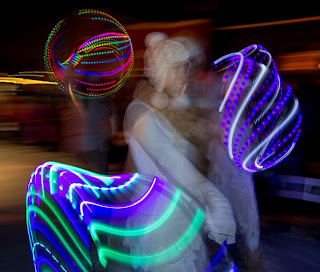 Come 6 January, Epiphany, she’s still flying around on her broom, searching. 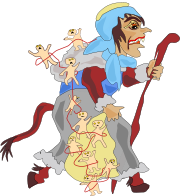 On that day, Italian children leave a glass of wine and food for La Befana "The Witch" much the same way American kids leave Santa milk and cookies. And she, in turn, leaves a present for the children in every house she looks. 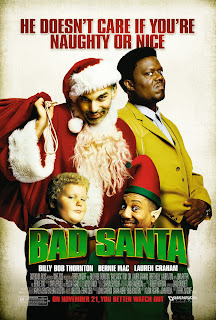 After all, one of them just might be the baby Jesus. 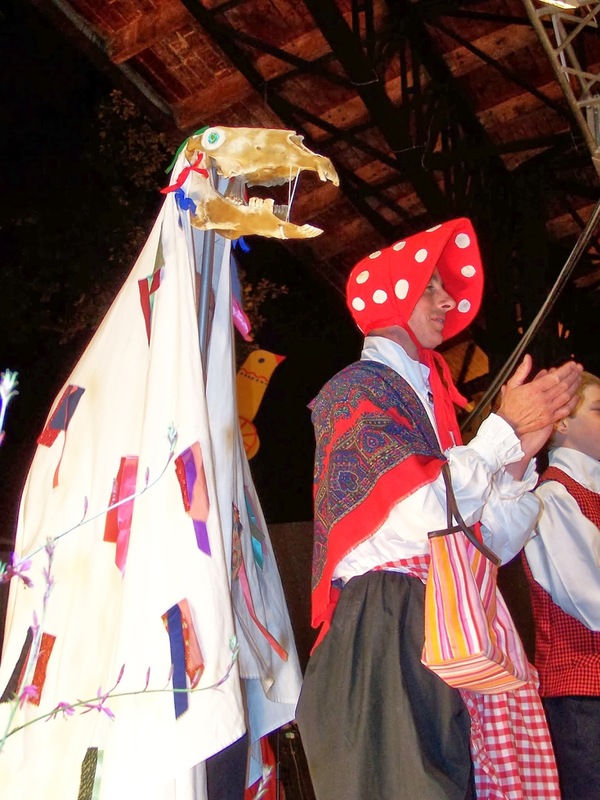 Befana also enters people's home's same way Santa Claus does through the chimney. Presently in Italy Le Befana is more popular than ever with Christmas markets and shops selling merchandise such as Dolls, Books with her likeness which is very similar looking to the likeness of witches from Halloween folklore in United States. 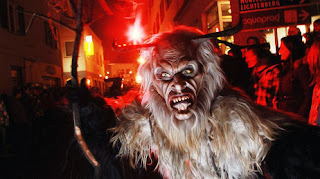 For those who dont know, Krampus is christmas character first made popular in various parts of Europe in Austria and Germany, who is the anti Santa Claus a demon like beast who punishes those who have been naughty all year. "Shop 2CoolGhouls 4 the Holidays"
http://krampuslaufphiladelphia.com/ Its like Halloween for Christmas! 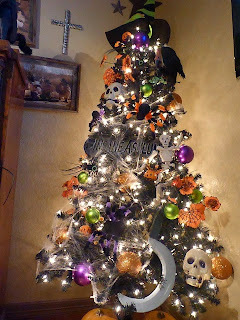 I am participating in the annual celebration of Creepmas with some like minded bloggers who love all things Halloween and Spooky. 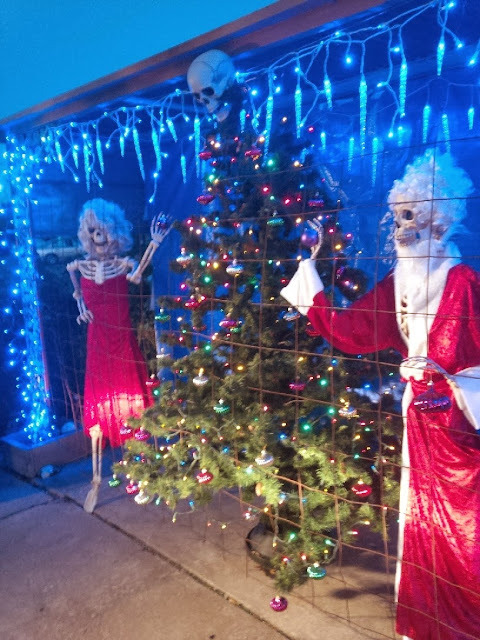 What is Creepmas you ask? 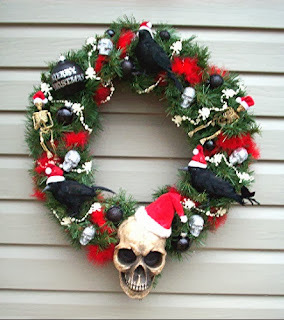 Creepmas is the reaction to Christmas invading and dominating the holidays. Stores start putting out Christmas decorations in October, which has led to many Halloween lovers getting tired of their beloved celebration getting pushed to the side. 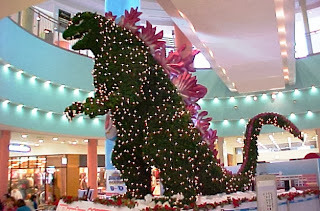 Funny enough many Christmas lovers claim there is a cultural war against Christmas. 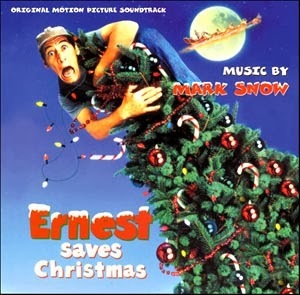 John Stewart made some funny jokes about this supposed "War on Christmas"
Please don't misunderstand me I love Halloween and Christmas and celebrate both. Lets face it Creepmas allows some creative, unique ways of celebrating Christmas. NBC just recently did a featured story on the Haunted House business across the US. 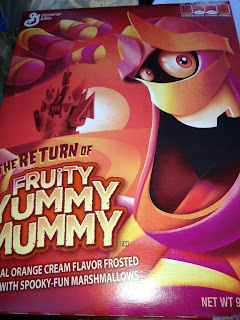 Seems like everything year they get bigger and scarier and are staying open past Halloween. The business has definitely grown over the years. 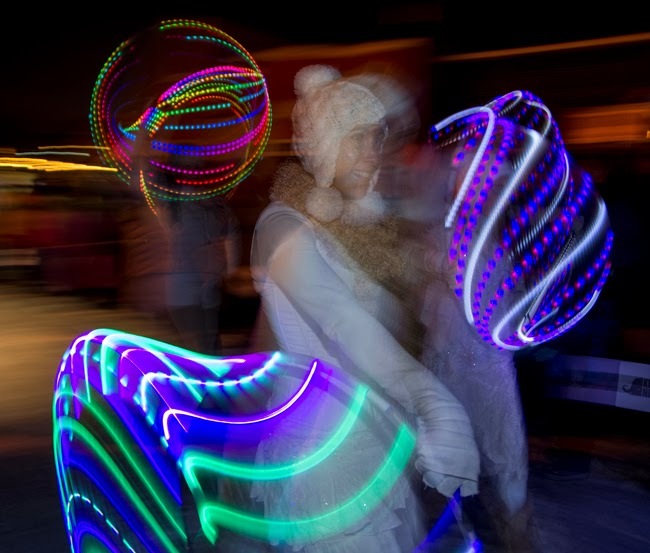 "Visit 2CoolGhouls"
The glow stick haunted and the zombie drummers were the coolest. 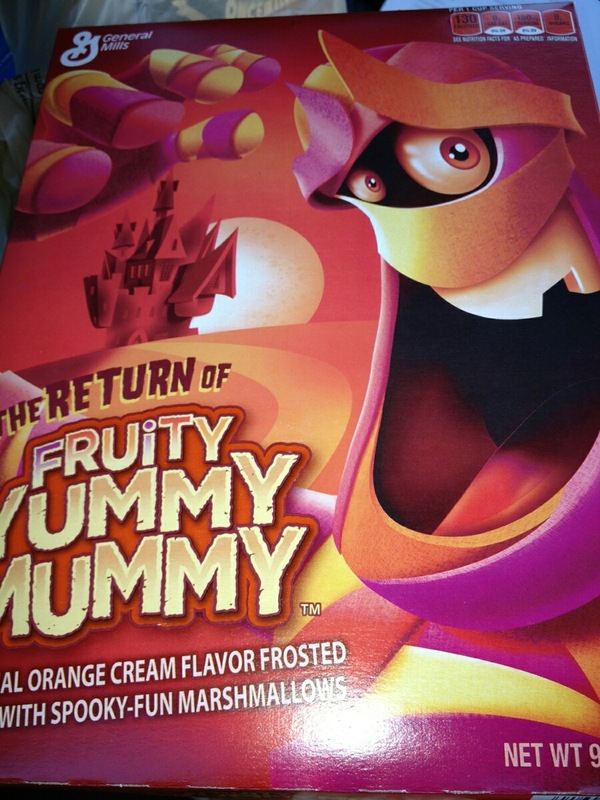 They really cater to one's darkest fears. There's a scary garment district room that full of clothes on hangers and the lights strobe on and off while ghouls appear in-front of you out of no where. These haunts for me are a lot of fun and certainly an adrenaline rush. 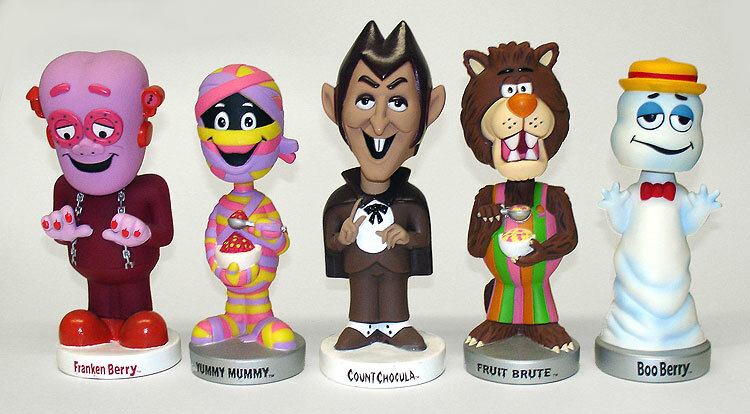 Check out Fangoria America Haunts magazine for some of the best Haunts in America. 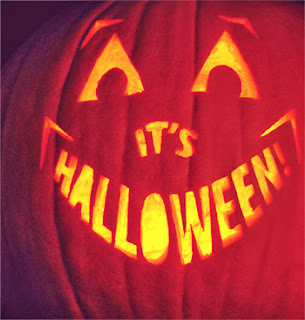 Marlon Wayons from the Wayons Brothers has posted a funny Halloween inspired skit on how he passes out candy on Halloween I laughed hard Marlon is hilarious!